Nintendo’s Labo has been listed in Time Magazine as one of the outlet’s top inventions of 2018. The outlet has listed 50 “groundbreaking” inventions chosen across a variety of categories from architecture and accessibility to toys and transportation. Each was listed according to originality, creativity, influence, ambition and effectiveness. 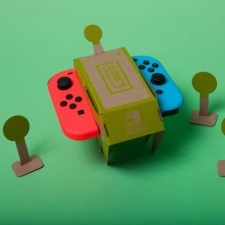 The Nintendo Labo, a set of DIY cardboard controllers-slash-toys for the Switch, was listed for helping younger gamers “create their own fun”. Time also gave a space in its list to the Xbox Adaptive Controller, developed by Microsoft to help differently-abled players who may have trouble using more traditional gamepads.